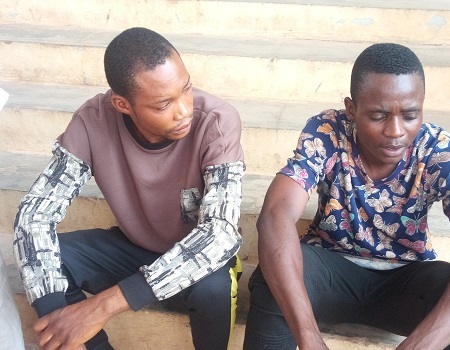 The suspects, Samuel Linus, and Adekunke Ogundana, who were security guards posted to the church, were said to have stolen the pants the lady spread overnight. The two security guards denied the allegation but they were handed over to the police by the clergy. One of the suspects, Ogundana, claimed that he was sick throughout the night battling with an ulcer.